Each year, PEN International prepares a report assessing the state of freedom of expression in the country in which its congress is held. In October 2015, PEN International released a report on free expression in Canada ahead of the 81st congress in Québec City, Québec. Based on this briefing note, PEN Canada presents “Free Expression Matters” a series that breaks down free expression issues in Canada. In this sixth instalment we look at how threats to the freedom of assembly can affect free speech. Click here to see previous “Free Expression Matters” on hate speech, surveillance, defamation, public servants, and political audits. 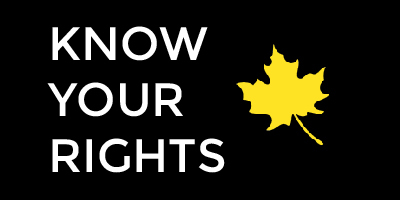 Click here to see our guide to protest and demonstrations, part of PEN Canada’s Know Your Rights series. How has the freedom to assemble peacefully been threatened in Canada? Although Section 2b of the Canadian Charter of Rights and Freedoms guarantees the freedom to assemble peacefully, several incidents indicate this right is not being adequately protected. During the 2010 G20 summit in Toronto, police forces used kettling (a form of containment in a defined area), rubber bullets, and mass arrests to subdue protestors with no oversight mechanisms by the relevant government agencies. Five years on, despite numerous credible accounts of police violence, only one police officer has been charged with the use of excessive force during these arrests. Similarly, in 2012, police forces in Montreal used tear gas, excessive force, and mass arrests to quell crowds of student protesters. There were also reports of excessive force being used by police officers during demonstrations by aboriginal and environmental groups. How does this affect free expression in Canada? Intelligence specialists argue that the blanket surveillance of Canadians in the form of a list of demonstrations is in breach of the Charter of Rights and Freedoms. The categorical monitoring of peaceful protests suggests that the government considers protests and protestors a threat to public safety. As a result, protestors may fear violence from police and refrain from protesting publicly. 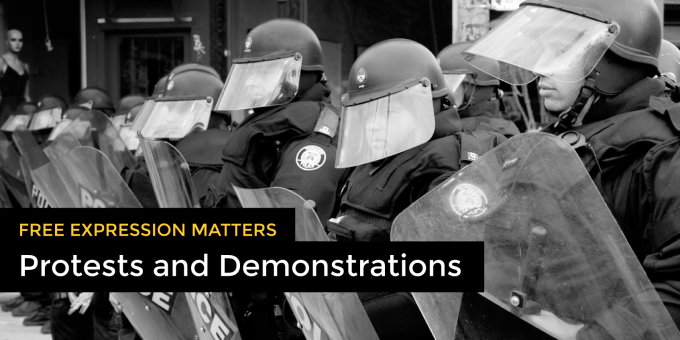 To learn more about your right to protest, visit our Know Your Rights guide to protests and demonstrations. What recommendations have been made about this issue? In July 2015 the UN Human Rights Committee expressed concern about the excessive use of force by law enforcement officers during mass arrests, with particular reference to indigenous land-related protests, G-20 protests in 2010, and the student protests in Quebec in 2012. It also expressed concern that excessive force complaints were not always promptly investigated and that the sanctions imposed were of a lenient nature. It recommended that Canada strengthen its efforts to ensure that all allegations of ill treatment and excessive use of force by the police are promptly and impartially investigated by strong independent oversight bodies with adequate resources at all levels, and that those responsible for such violations are prosecuted and punished with appropriate penalties. Has the situation changed since 2015? Despite the UNHRC recommendations made in July 2015, police and protesters continue to clash. Most recently at the Black Lives Matter protest in Toronto, witnesses reported that police were forceful in taking down tents and extinguishing campfires. At the federal level, there has been no legislative or policy changes regarding the freedom to assemble. However, in November 2015, a Quebec Superior Court judge ruled that section 500.1 of the Quebec Highway Safety Act prohibiting protesters from blocking highways is unconstitutional. Judge Guy Cournoyer acquitted a protester fined by Montreal police during a protest in 2011 stating that the prohibition is not a reasonable limit on the freedom to assemble in a “free and democratic society.” This demonstrates a move towards strengthening the freedom.